Many of our readers may have noticed at their companies a considerable effort expended on FERC Order 1000 compliance in the last year. The Federal Energy Regulatory Commission (FERC) introduced Order 1000 in July 2011 and re-affirmed it in May and October 2012 with Orders 1000-A and 1000-B. Order 1000 is seen by many as landmark energy legislation addressing both the transmission-planning process and cost-allocation procedures for new electrical transmission lines. Historically, most transmission planning has been a bottom up process, although the emergence of RTOs where they exist has helped facilitate and resulted in more regional and inter-regional transmission planning. The incumbent utility periodically evaluated its need for new transmission based primarily on reliability criteria and economic access to power for its native load. The incumbent generally had little incentive to build new transmission lines to renewable projects owned by others or far away unless the incumbent needed that power to comply with renewable portfolio standards. Order 1000 now requires that all transmission providers participate in a regional and inter-regional transmission planning process of some type of a more “top-down approach” that is required to recognize public policy mandates. Some have described this as the difference between utilities in one state participating in a state planning process as opposed to now participating in a multi-state or multi RTO planning processes. One of the contentious requirements of Order 1000 for many public utilities was the removal of the long-standing federal ROFR for transmission projects identified in a regional plan for the purposes of cost allocation. The incumbent utilities no longer maintain the ROFR to build, own, and operate large-scale transmission projects located within their service territory. Traditionally, outside transmission developers in many parts of the country were hesitant to commit resources to evaluation of new transmission lines when they knew the incumbent utility could decide at the last minute to take control of the project away from the developer and build it themselves. As a result, many transmission projects that have traditionally been built by incumbent utilities based on geographic location and service territory may now be open to competition. The ROFR removal has the potential to significantly change the way large transmission projects are identified and awarded in many parts of the country. While FERC has indicated there is no requirement for competitive bidding for every transmission line, it appears that transmission lines meeting certain criteria would most likely be awarded and built under a competitive bid process. Part of Order 1000 mandates public utilities to participate in a regional transmission planning entity that has an established cost-allocation methodology for new transmission lines as well as inter-regional lines. This may ultimately be the most challenging and controversial part of the order. Before Order 1000, a public utility that owned and operated a transmission line rolled its power and reliability costs into its ratebase, and the native load customers paid the costs. Order 1000 recognizes that large regional and inter-regional transmission lines (particularly those connecting to renewables) may benefit customers over a much wider geographic area than one or two incumbent utilities in terms of both price and reliability. The order mandates some form of cost allocation to those who benefit from the project. As you would expect, finding equitable and economical cost-allocation solutions in a complex physical system like the grid will be a contentious matter. FERC has provided a list of six regional cost-allocation principles that must be met by any project. FERC’s hope is that the top-down approach will result in more efficiencies, more clarity, and less risk to participants that want to build large regional and multi-regional transmission lines. As you would expect, certain sectors of the industry including renewables and transmission construction companies hail Order 1000 as long overdue and a step in the right direction; many incumbent utilities see it as FERC over-reaching its regulatory authority and trying to not only tell states what transmission lines to build but how to allocate the costs. Like most new FERC rules, people inside and outside the industry have all types of opinions on what they think the new rules mean and what the impacts will be. As is often the case, the devil is in the details and we won’t really know the rule details and interpretations until the utilities and RTOs have made their initial compliance filings, FERC has analyzed the filings, and FREC has communicated its evaluations of compliance or lack-thereof. When will it all be clear? The initial compliance filings related to Order 1000 from regional transmission groups were due at FERC in October 2012. The bulk of the filings from the RTOs so far have indicated they believe their current cost-allocation methodologies meet Order 1000 compliance without needing substantive changes. PJM and ISO-NE are proposing changes to their existing cost-allocation methodologies related to cost allocation of new transmission driven by public policy requirements at the individual state level. While the PJM and ISO-NE proposals vary, the general idea is to allocate costs of new transmission lines necessitated by individual state policy mandates to the electrical customers in those states. Compliance filings from inter-regional transmission groups are due at FERC in April 2012. Once these initial compliance filings have gone through FERC scrutiny and there has been a chance for public comment, the details of complying with the order will be much clearer. 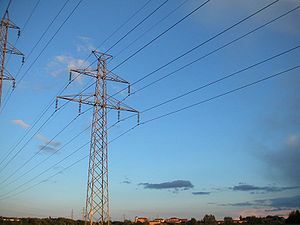 This entry was posted in Electricity, Energy Training and tagged Electric power transmission, Electric regulation, Electricity Education, Electricity Training, Federal Energy Regulatory Commission, FERC, PJM Interconnection, Real-time operating system, Regional transmission organization, Transmission line, United States. Bookmark the permalink. What happened to the contempt of economically priced energy? Looks to me like Order 1000 is being setup to drive a need that isn’t there. If Order 1000 is used for the advancement of wind energy when there isn’t a need for the energy, it is an abuse. If Order 1000 is used to provide wind energy at a price high than the market price, then FERC’s Order 1000 is misguided and an abuse. The nation has gone thirty years giving wind energy favorable treatment. It is foolish and misguided to create favorable conditions and force ratepayer to pay for over priced wind energy and the transmission for it. The federal government has favored coal energy and we built powerlines spicifically for the tranmission of coal powered energy. The federal government has been the main advocate for nuclear energy, and we built powerlines. Today’s flavor of the month is wind energy, and we need new powerlines to wind states. What ever happened to economically priced energy? If FERC chooses to advance Order 1000 to advance the administrations “clean” energy agenda, I hope the fight goes to the Supreme Court. FERC’s priority needs to be economically priced energy to spur growth in the economy. Thanks for your comment. While Order 1000 probably does help transmission lines get built for wind power, it goes much deeper in my opinion. Transmission lines were historically planned more locally than regionally. For instance, a utility in northern California would plan a transmission line without much consideration of how it affected southern California. But with the advent of regional transmission organizations and wide scale trading, the old planning paradigm just doesn’t work well anymore. So Order 1000 moves us into a new way of planning transmission which should benefit everyone since it should be more efficient that multiple local planning and construction efforts. That said, you can never discount the impact of government policy on the electric industry as you note.